Oil on linen panel 12"x12". 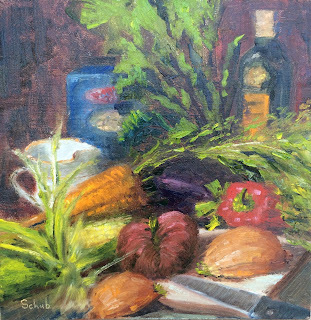 The ingredients for this painting went straight into the pot and made a wonderful soup. Had to paint fast, but not a problem. I was hungry. Pein air oil painting on linen panel 8"x10"